I didn’t want to backdate but I’m a goth, we all live in the past. 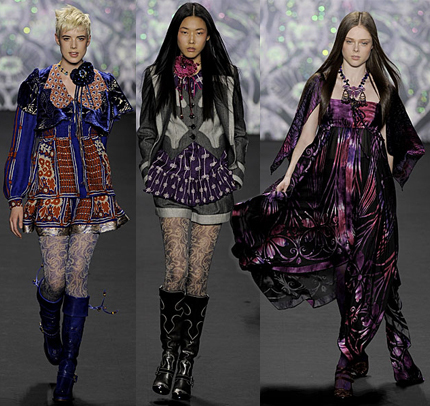 I couldn’t have this blog without mentioning this beautiful number from Anna Sui. It’s the one on the right.. it’s so totally beautiful I love the depth of the colours, that’s what textiles are ALL about. ~ by Kisha on July 18, 2010.